The TOI has made this story, Belagavi police seek cancellation of Rotomac promoter’s bail in ’11 case. Belagavi-based iron ore exporter Gururaj Jainapure filed two complaints against Vikram Kothari and his five associates in Udyambag police station, Belagavi, on May 31, 2011. While the first plaint pertains to an incident in Goa, the second one regards an occurrence in Belagavi. Rotomac promoter Vikram Mansukhbai Kothari’s run-ins with law have a Belagavi angle too. The controversial businessman, arrested by the CBI on Thursday for cheating a consortium of seven banks of Rs 3,695, has two cases registered against him in Belagavi — of threatening a businessman at gunpoint, cheating him by hiring a criminal to pose as a CBI SP and seizing his two high-end cars. The district police are looking to approach the fourth JMFC Court seeking cancellation of Kothari’s bail as the businessman has failed to comply with the bail conditions. According to Gururaj’s complaint, he used to have business transactions with Rotomac Exports Private Limited, one of Kothari’s ventures. Gururaj had given Kothari an advance cheque of Rs 3 crore for supplying iron ore. Gururaj alleges that though the ore was never delivered, Kothari insisted that he had supplied it. The matter reached an Allahabad court, where Gururaj won the case. Kothari called Gururaj for a meeting in Goa on August 20, 2010. There, Kothari introduced one Sharma as an SP rank officer with the CBI. Investigators would later find that Sharma never worked for the CBI and his actual name is Parth Das. Showing fake arrest warrants against Gururaj and his family, the duo sought to settle the ongoing case. 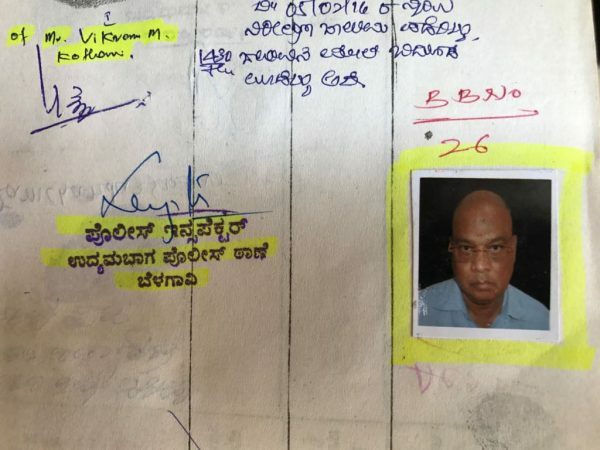 They also seized Gururaj’s cars from his Belagavi residence. They allegedly took Gururaj’s signatures on blank sheets and stamp papers. The FIR states that coaccused Vinit Wakhare, Chimanbhai Patel, Rajshekhar Biradar and Jayesh Parab helped Kothari. Investigation officer Niranjan Patil said, “ Kothari never visited the police station after getting bail. The court hadinstructed him to turn up at the police station whenever the officer calls,” he said. Kothari and his associates face charges under various IPC sections: 341, 384, 386, 389, 392, 397, 419, 420, 465, 467, 471, 170 and 120 (B) IPC, and Arms Act. This chap seems to be a don.